Don't Live With Smelly Underarms! After researching, I discovered a safe treatment that would help with stop the extra sweat I was dealing with. I found a treatment called miraDry that seems to be an effective and safe solution that allows me to enjoy being out in public again. A certain amount of underarm sweat is perfectly normal. However, some people who deal with excessive sweat actually have a condition called hyperhidrosis. If you’ve ever refused a night out with friends or a special event because of this issue, you’re not alone. In fact, 1 out of 5 adults deal with overactive sweat glands which can be embarrassing to go out in public. (I mean who wants to go out with their underarms smelling like onions.) I tried everything: body mist on my underarms, apple cider vinegar for the underarm sweat, driclor, lemon juice on my underarms, petroleum jelly, and even botox trying to eradicate the underarm sweating. Nothing worked. The good news is: there’s finally hope with miraDry treatments. There are some short-term treatments for underarm sweating such as prescription medications or special antiperspirants. Some people have even tried Botox injections which only gave them temporary relief. While these may work for the average sweat glands, they don’t really help those who suffer from hyperhidrosis. 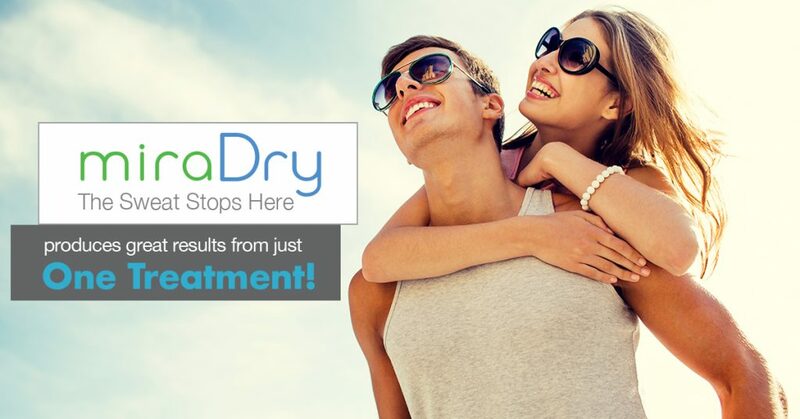 miraDry is a FDA approved treatment that greatly reduces underarm sweating. Since 2012, it has targeted sweat glands in the underarms that work overtime. Most importantly, this treatment is non-invasive and long-lasting. Those are words every patient loves to hear. Did you know the human body contains over 4 million sweat glands? I had no idea. Of course, that means your body also has the ability to sweat more. 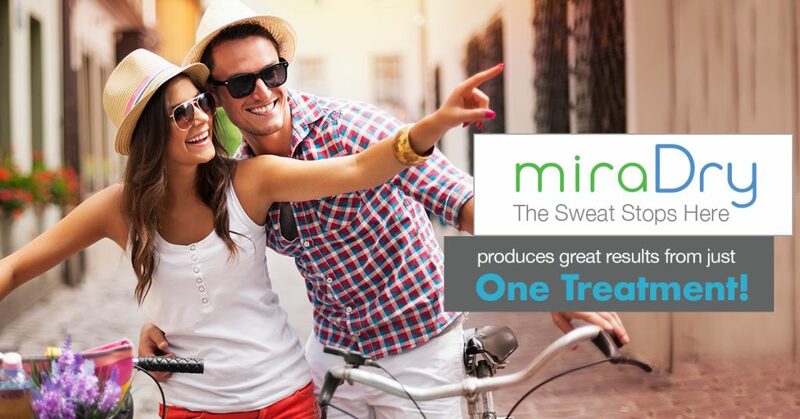 MiraDry works to get rid of some of those sweat glands that create moisture and odor when you don’t want them to. When I read about this treatment, I also read that once miraDry gets rid of the sweat glands, they don’t come back. That’s right. This really is a long-lasting solution. Since several antiperspirants and showers every day wasn’t working for me, I decided to research miraDry some more. I found that the process is not only non-invasive, but it’s also quick. Who doesn’t love an option like that? I read that the treatment uses energy on the underarm sweat glands to eliminate them. I didn’t worry about it destroying my body’s natural cooling ability. Only 2% of your sweat glands are in your underarms so it doesn’t hurt your normal sweating ability. Do you have sweat marks on your clothing? Does your antiperspirant fail to deliver results? Do you need to shower multiple times a day due to underarm odor? If you answered yes to any of these questions like I did, there’s a good chance that miraDry is perfect for you. I was changing clothes multiple times a day and dry cleaning couldn’t get rid of the stains. That’s one reason this was a great treatment solution. 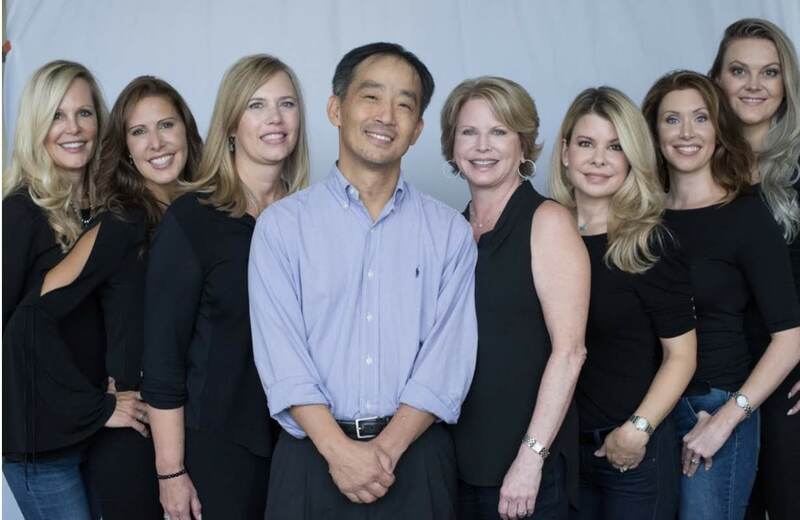 Aesthetica Cosmetic Surgery and Laser Center is a great place to go for this treatment. I called earlier to schedule a consultation and see if this treatment was a possibility at all. This is my experience. One of the Registered Nurses did my consultation and I was completely comfortable with her. I was able to talk freely about my embarrassing underarm sweat and how it interferes with living my life. 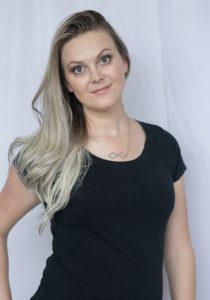 She was completely understanding and asked me some questions about previous treatments I had tried. She said this treatment would allow me to move and dance around in public again which was a relief. Before the treatment day, the nurse told me everything I needed to know about miraDry and what the actual treatment process would look like. MiraDry is best for people who want to eliminate excessive sweat in their underarm region. She said that this treatment would use energy to eliminate the sweat glands and greatly reduce the amount of sweat I have. Once the treatment gets rid of the sweat glands, they don’t come back. I would have this treatment in Dr. Chang’s office and it would only take about an hour! Most people see results in 1 treatment but some have 2 treatments to ensure optimal results. With this treatment, I would finally enjoy spending time with other people and not worry about odor. After she explained this to me, I was ready to schedule my appointment and finally live my life without worrying about sweating through my clothes. Before the procedure even started, I laid back in a reclined position. They marked portions of my underarm area with a marker. She told me this area is where the treatment would target. Next, they applied a local antiseptic to the same area to numb me. I was glad that this helped keep the pain manageable. After a few moments, the doctor took a small hand laser and moved it around in a Tic-Tac-Toe pattern. I really didn’t feel anything. The process took only an hour which was wonderful! Most people experience some swelling and soreness at the target site. This is perfectly normal. The nurse recommended some ice packs or even over-the-counter pain reliever. The discomfort can last a few days. Unless you usually do excessive lifting or other vigorous activities, you can return to normal life immediately. You should wait a few days to return to your normal exercise routines. I’m so thrilled to experience the results from my miraDry treatment. I no longer deal with excessive underarm sweat or embarrassing odors. There was no downtime to slow my life down and I now enjoy my favorite activities and events with friends and family.